Don’t let wet weather or activities compromise your phone. 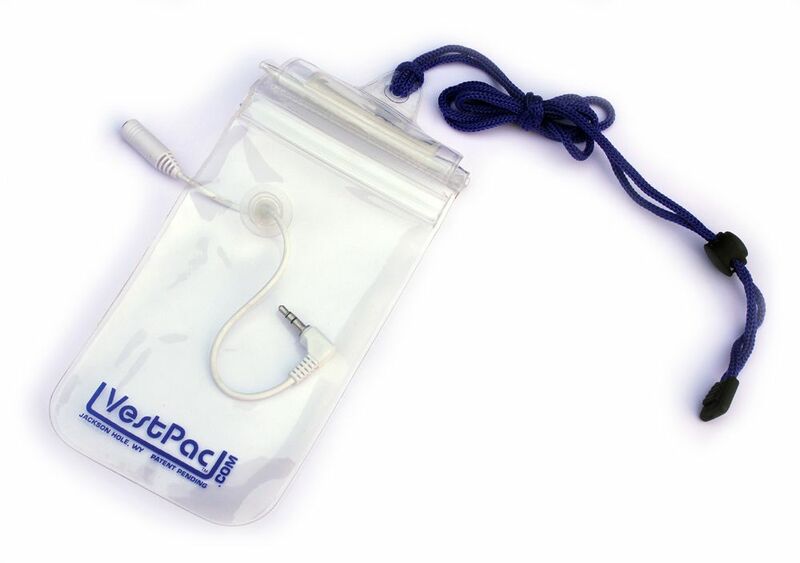 Protect it with VestPac Waterproof Cell Phone Cases. These clear, electrostatic TPU (Thermoplastic Polyurethane) cases are super durable and compact enough to fit into your pocket or carry with the attached lanyard. With their double sealed cases, water, dirt, sand, snow, and mud will not ruin your phone, and the electrostatic TPU ensures that the touchscreen can be operated right through the case – talk, text, take pictures, etc., all while your phone is secured inside the case. There’s even a case that has a headphone connection, so you can listen to music with their waterproof ear buds as you’re hanging ten or shushing down the slopes!